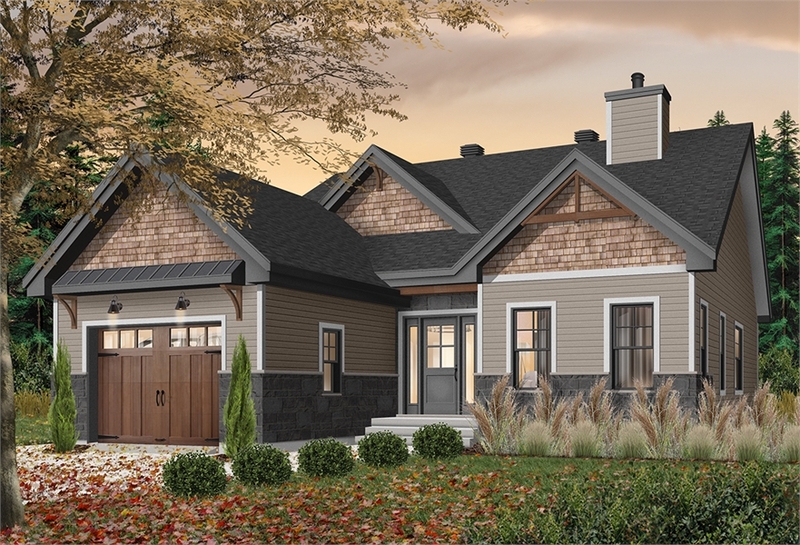 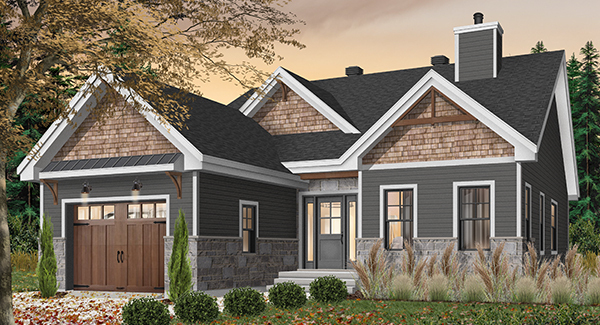 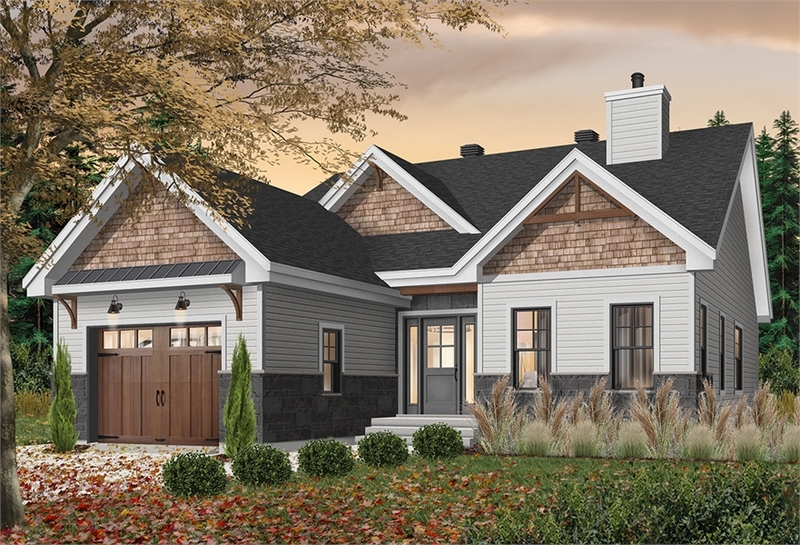 PLAN DESCRIPTION This affordable 1,441 square foot Craftsman house plan features 2 bedrooms and a one car garage, making it this a great starter or vacation home. The open floor plan is highlighted by a two-sided fireplace shared by the living and dining room. 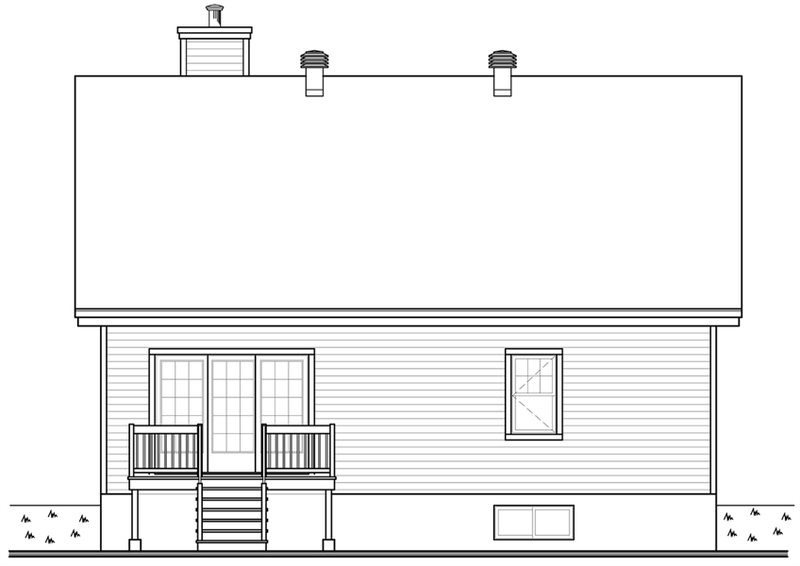 The galley kitchen overlooks the rear deck and has a kitchen island with seating for four, wine cellar and walk-in pantry. 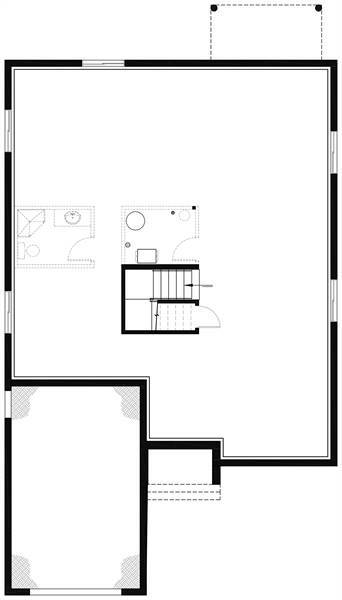 The master suite has a private bath with walk-in closet and is separated by a second bath and bedroom, with a nearby laundry room. 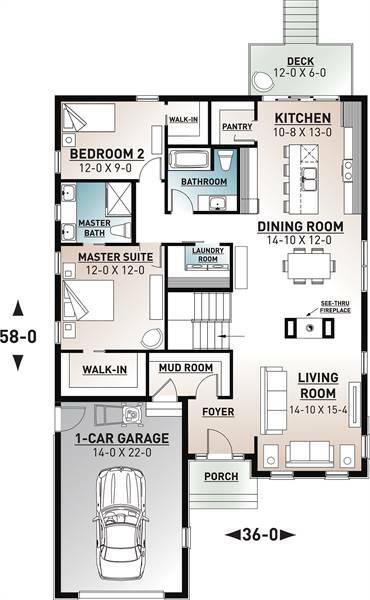 For expanded living space this home offers a full basement.